Eight travellers, who had gone missing Monday night, have been rescued and are safe at Koksar camp in Lahaul-Spiti, Keylong SDM Amar Singh Negi told ANI. They had gone missing from Lahaul-Spiti where they were on a trip, ANI reported. The group comprise a woman from Brunei, Sanjida Tuba, a man from the Netherlands, Abby Lim, and six Indians — Priyanka Vora, Payal Desai, Dipika, Divya Aggarwal, Abhinav Chandel and Ashok. Forty-five people, including 35 students from IIT Roorkee, also went missing from Lahaul-Spiti on Monday night, ANI reported. Rajvir Singh, father of one of the students, said the team had gone for trekking to Hamta Pass in Kullu and were supposed to return to Manali. But the students were unreachable since Monday night, he told ANI. 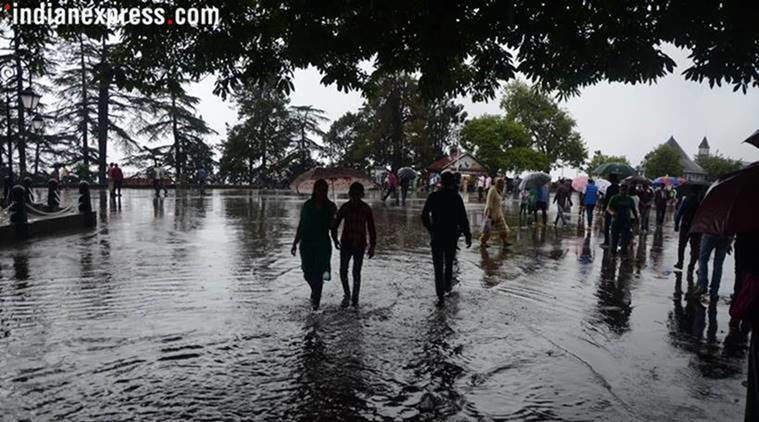 At least 22 people were killed in Punjab, Himachal Pradesh and Jammu and Kashmir after the northern states of the country were hit by incessant rainfall since Sunday. Red alert was issued in both Punjab and Himachal Pradesh on Monday. Schools in most districts were closed on Monday as a precautionary measure. A number of houses in low-lying areas, especially in Kangra, Chamba and Mandi districts, were evacuated to prevent casualties, PTI had quoted officials as saying. In Chamba, the Ravi river has been flowing at a dangerous level. Gates of Chamera dam in Himachal were opened to release excess water. On Sunday, as many as 19 people stranded at Dobi in Kullu district after flash floods and heavy rains were rescued by deploying an Indian Air Force chopper. In Punjab too, the water flow at Sutlej Pull border between Khanna and Nawanshahr was strong, with the Bhakra-Beas Management Board in Hoshiarpur warning about floods in the downstream areas. All three gates were opened to release water from Sukhna lake. Alert was issued in a dozen villages in Mukerian, Hoshiarpur district in Punjab after the reservoir level of maximum reservoir level of Ranjit Sagar Dam neared its maximum. In view of the looming flood threat, Punjab Chief Minister Amarinder Singh had announced closure of schools and colleges on Tuesday.